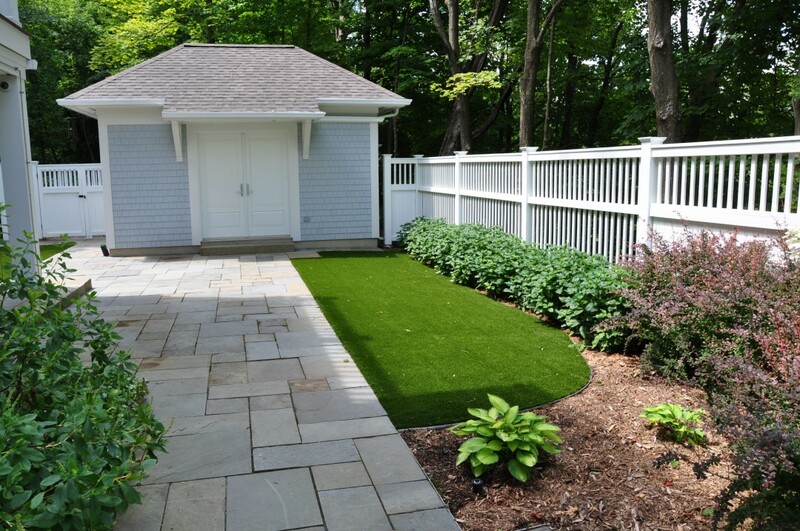 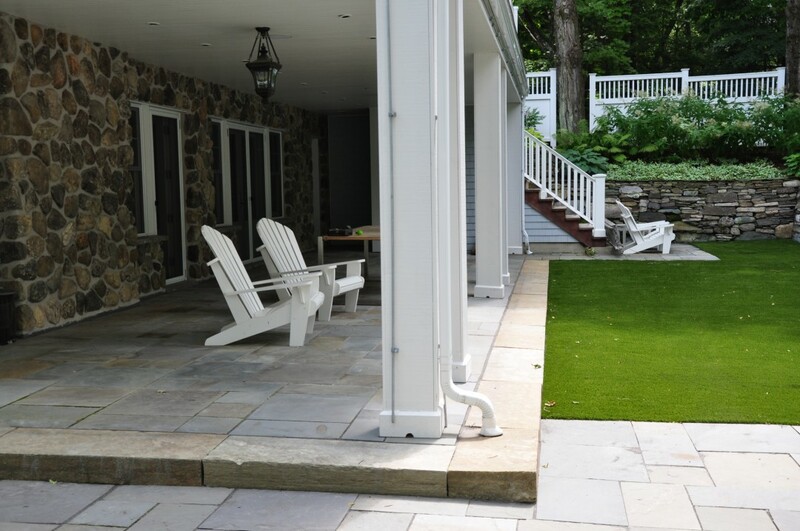 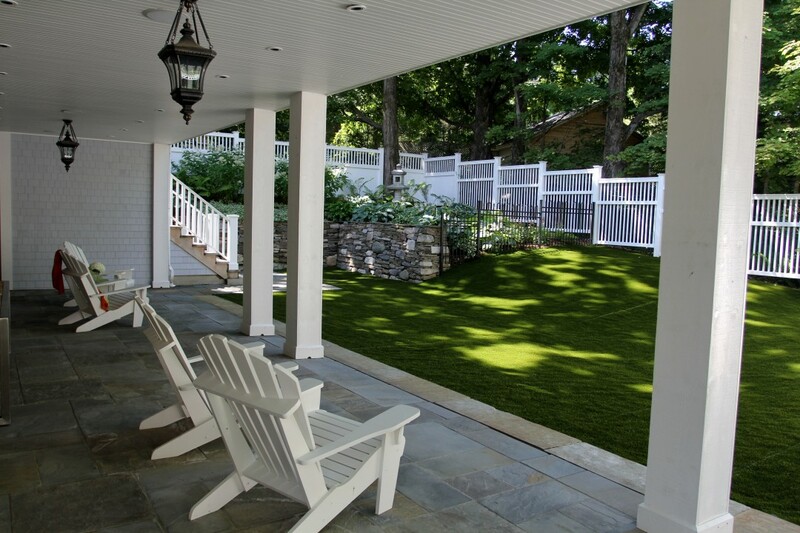 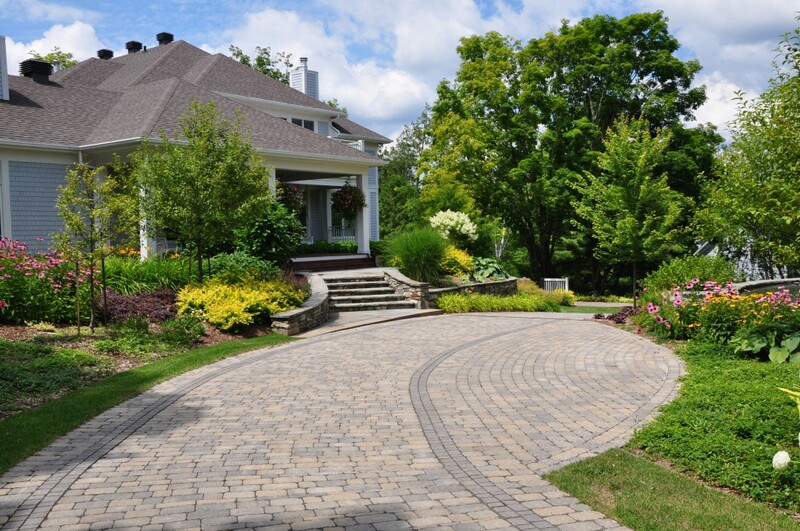 As the name of the project suggests, this landscaped area features many technical details that together created a long-lasting high-end project. 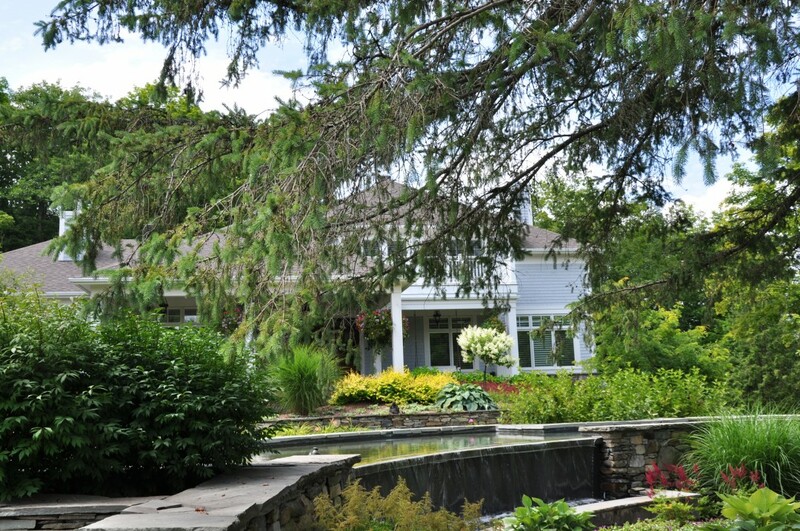 The front pond has a foundation similar to that of a house. 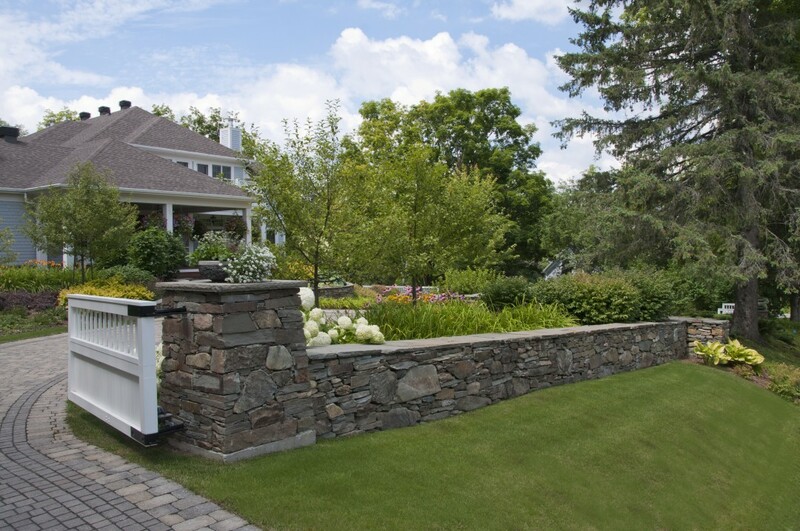 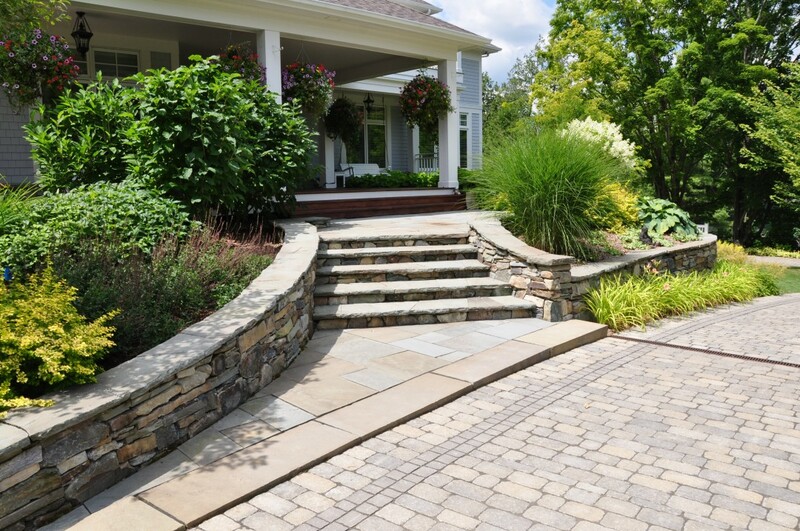 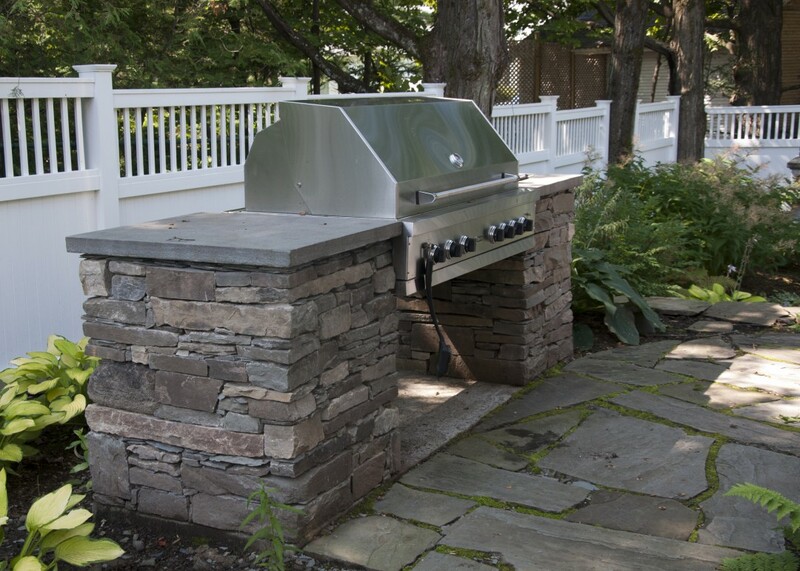 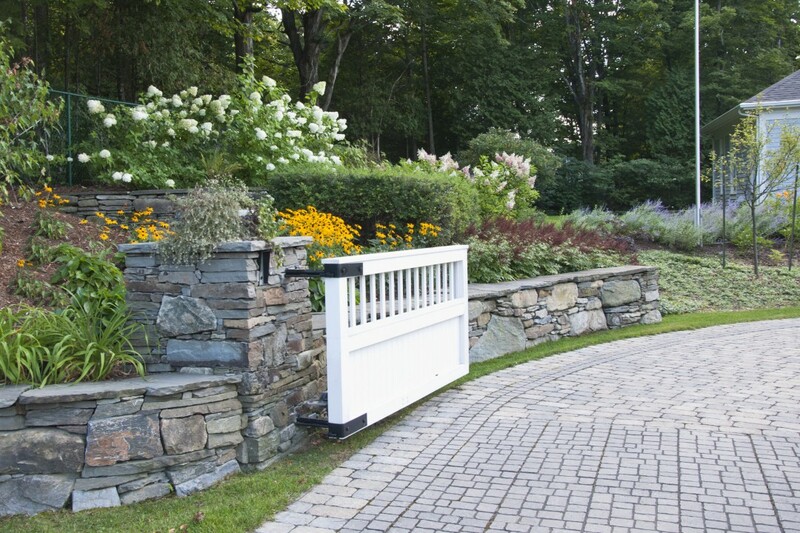 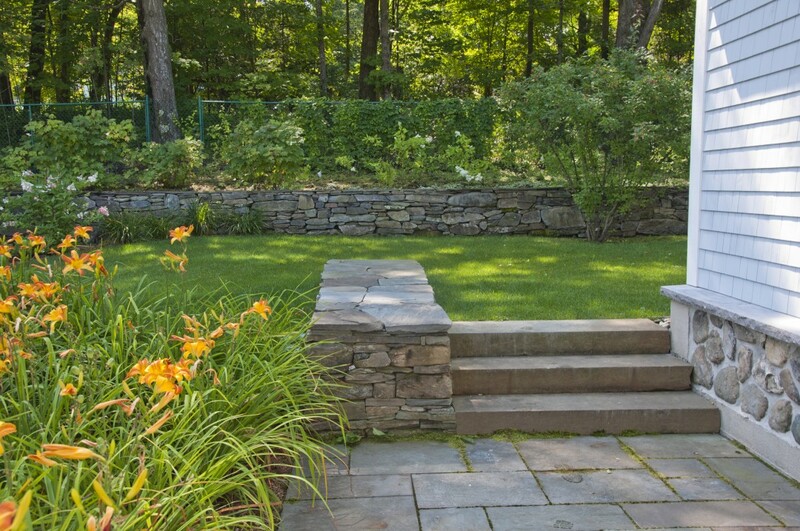 The most critical stone walls were erected on concrete bases and have been cemented (no visible joints to ensure that the materials blend together well), while the entrance stairway also has a foundation that goes below the frost line. 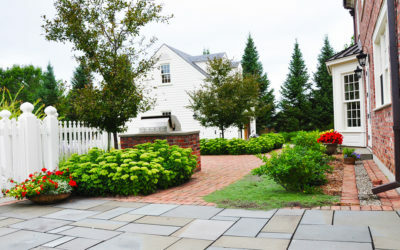 The stones were chosen to blend with the architectural setting and the uniqueness of the small village. 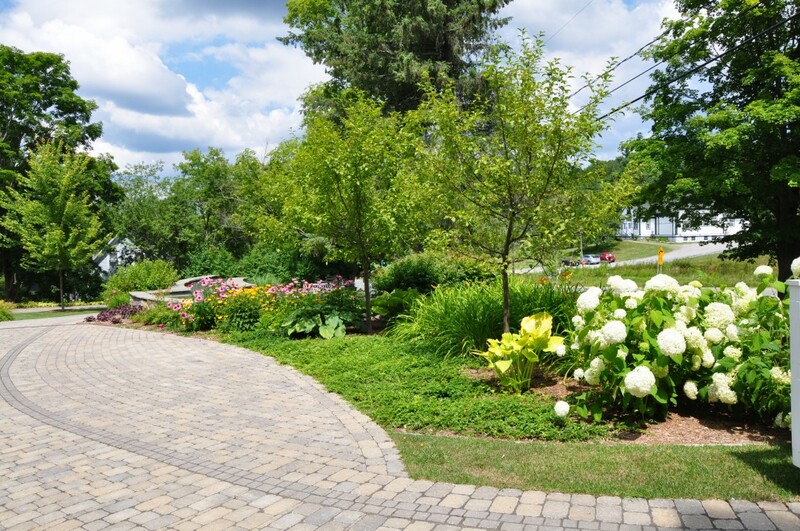 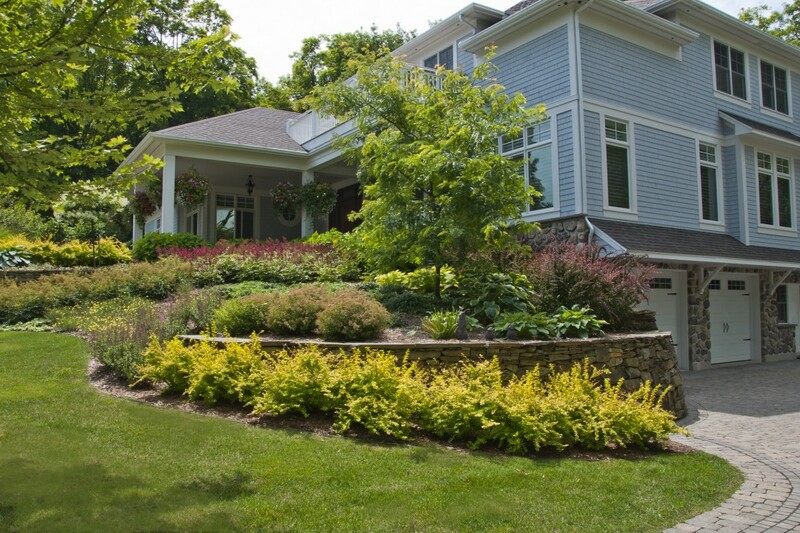 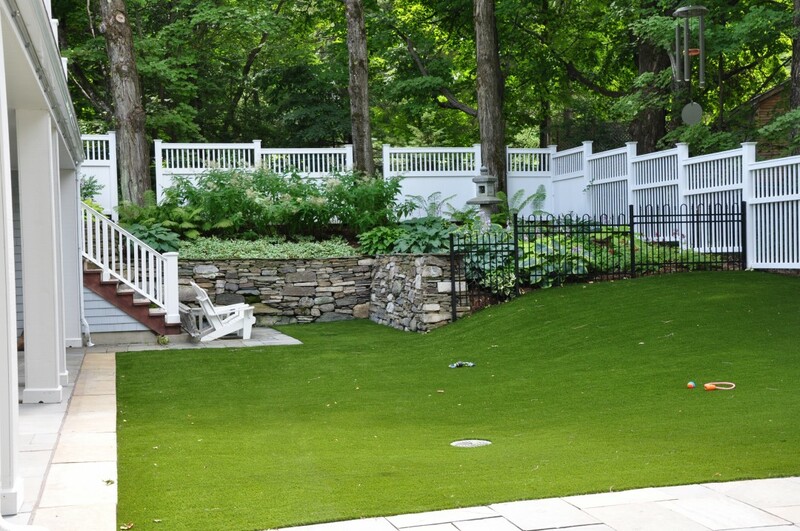 The backyard provides cozy privacy and a paved driveway surrounds the pond and leads to the main entrance and garage. 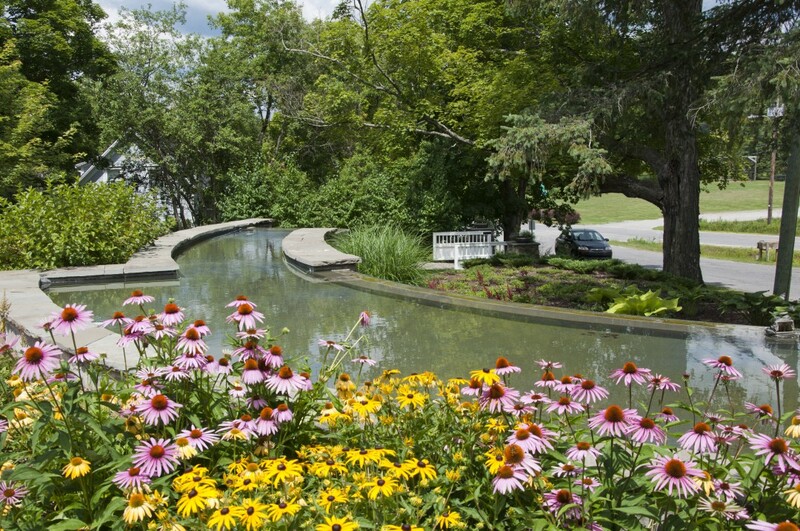 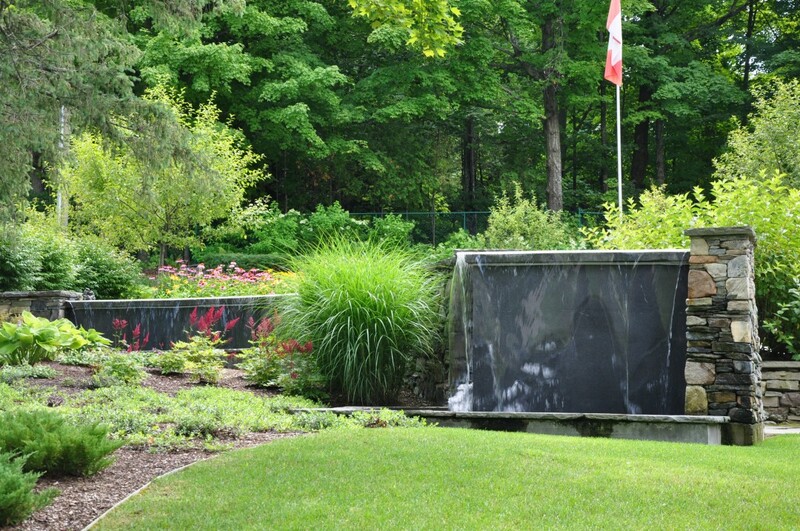 Familiar, lush vegetation covers the stone structures, making the landscaped area glow throughout summer.